Italian Design. Features a classic Swan neck in a chrome finish, very popular in 2017. 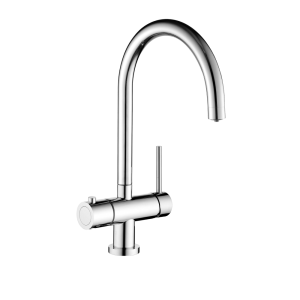 Our best selling tap currently. A Press down Safety button on the steaming hot water dial locks the unit to help prevent accidental usage. Comes with a limescale inhibiting filter and the new style analogue tank with two temperature settings delivers near boiling water instantly.